For quite some time now, I've struggled with the idea of citizenship. It's been nine years since I migrated to the U.S. from the Philippines. The last time I went back home to Manila was five years ago and it was only a very short two-week visit. During that trip, I hardly had time to see all of my friends and family, let alone keep abreast of the latest social and political events happening at the time. Here in the States, I gained my citizenship back in 2008. Do I now consider myself American? I mean, is 'American' a label I would use on myself in casual conversations? Honestly, no. The trouble is, do I feel I have the full right and pride to identify myself as a 'Filipino citizen' either, given that I don't live there, don't pay taxes anymore, don't get to vote, and have not been fully updated on all current events? Again, the answer is no. 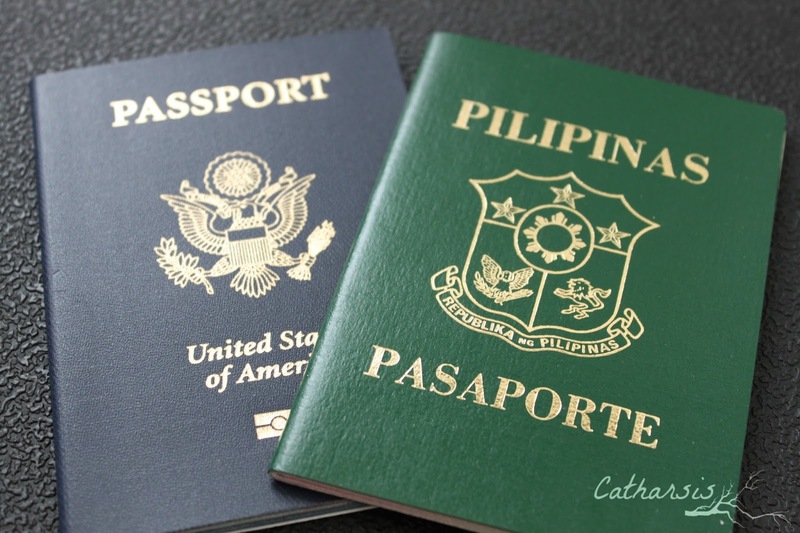 Though I feel more Filipino than American because of my ethnicity and culture, I no longer feel justified in calling myself a 'Filipino citizen' because technically, I really no longer am. For so long now, I've felt that I'm still not 'American' enough to claim the label, while all along also feeling like a hypocrite for still clinging to the label 'Filipino' when identifying myself. I'm neither here nor there and it's a sense of limbo that's, frankly, quite unpleasant. Thanks to social media, people like myself were reached and our sense of nation awakened albeit virtually. I found myself once again eager and involved, even if it only meant sharing articles online, commenting and showing my support to the protesters through Facebook statuses and Tweets. Deep down I knew I am still very much Filipino and still felt invested in my country's future, even though I live a continent away. With this sense of involvement awakened, somehow I was able to affirm my identity as 'Filipino' and finally feel comfortable about it. The truth is, I can say that I am no more passionate about healthcare reform or the Affordable Care Act here in America, than I am of the issue of the pork barrel and corruption in the Philippines. Both are equally important in my view, and certainly awaken the activist in me. A blogger friend of mine describes herself a 'citizen of the world' mainly because she says she feels at home where ever her travels take her. Technically, the term 'citizen' denotes a contract between self and society. It refers to certain rights and obligations, and as I've mentioned, this includes things like paying taxes, being able to participate in political life, and serving your government and country. But perhaps my friend is right. That in this postmodern age where people are globally mobile and no one ever hardly stays put where they were born, 'citizenship' at its core becomes about sentiments, feelings of being connected, and having a sense of commitment and concern for that nation's social, political and economic reality and FUTURE. The truth is, I now feel at home in both countries, the Philippines and the U.S. I can honestly say I belong in both, especially now that I have a son who was born here in the States. I have roots planted in both and though the strength and depth of those roots differ, they both still ground me, and nourish me , constantly shaping me into the person I continue to become. In this sense both places, both societies are integral parts of who I am now, and I owe it to both to care about their respective futures. And frankly, in this global and modern world where geographic lines continue to be blurred, each nation's future cannot be seen as independent from another's present. In this sense, perhaps it would be wise if all of us turned into genuine 'citizens of the world'. Are you also a migrant like myself? What are your thoughts on your sense of 'citizenship'? Or maybe you're also a 'citizen of the world'? Any insights you'd like to share? Ah, citizenship...well, Joy, I don't know where I belong any more. Am I French? Am I British? I am French in London and British in France. It doesn't make my life any easier! Citizens of the World unite! Especially against corruption. It's so reassuring to see this post and know there are others who feel the same. I think 'citizen of the world' is the best way to put it. I was born in India, grew up between Canada and Australia. I agree with you completely. In an increasingly globalised world, we are more aware that ever of how the behaviour in one country can affect so many others, the world over. It would indeed be sensible for us to all view ourselves as global citizens. When we travel and we are asked, "where are you from?" there's a momentary pause and some fumbling before someone answers, "We live in XYZ but we are originally from the Philippines". I'm raising nomadic children. Only 1 has ever lived in the Philippines and speaks Filipino fluently. They are Filipinos in passport but I don't know what they are at heart. One loves Thailand, speaks the language and has all his friends there. Another is fiercely proud of Singapore. One thinks he wants to be American, and one wants to be an expat in Asia or South America when he grows up. The world has become a smaller place. I am grateful for the perspective that living in different places has given us. It has broken down stereotypes and prejudices. I wish everyone would see themselves as citizens of the world instead of just their country.